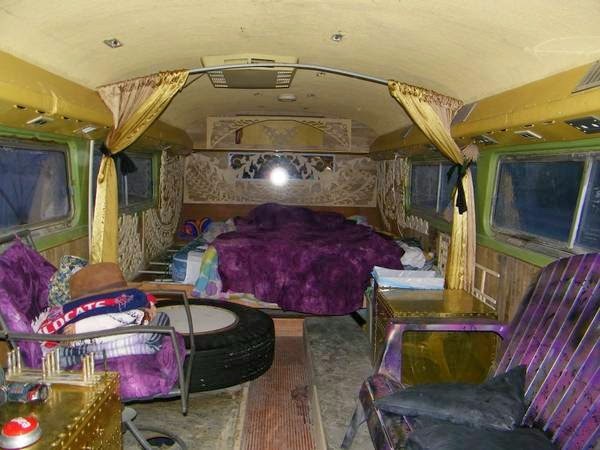 A Flxible Bus conversion should not be taken lightly. We all know that it takes a lot of work to renovate a 100 year old house. 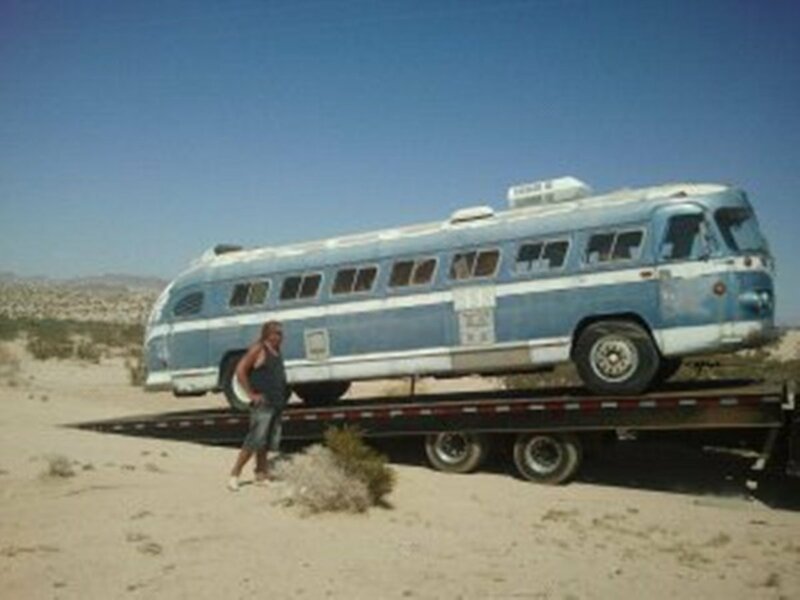 Well restoring and converting a vintage bus into a road worthy dream motor home can be just as much work…or more. Let’s say you just found a great old Flxible Clipper Bus that looks like the perfect candidate for your dream RV. Well, hold on! Before you take on this monumental project, read below to hear what the folks at Flxible have to say about bus conversions. Is the bus Dead or Alive? What is an Alive Bus? An alive bus is one that runs with no stalling or overheating. The heating and air conditioning works, the paneling and flooring are in good condition. And even the paint job is in fair shape. A peak under the carriage shows that other than deterioration of suspension due to wear, there is no unrepairable rust, and it even has fresh Radial tires. Congratulations! 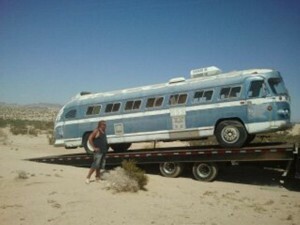 You have just found an Alive Bus and you can expect your renovation costs to be minimal. What is a Dead Bus? Sorry to get your hopes up, but most likely, the bus you will find will be a Dead Bus. Otherwise known as a “fixer upper’ sold on the cheap. 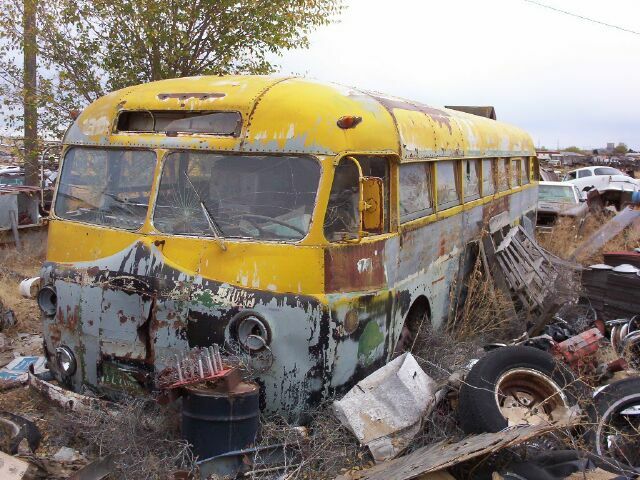 A Dead Bus is one that will require a major overhaul and a solid investment of funds. A few minor repairs, some spit and shine, and you should have an award winning vintage bus right? While it is a possibility, the reality is you may be embarking on a long and arduous journey full of frustration, and requiring a large financial investment. If you are contemplating on purchasing a fixer upper, it’s important to stay grounded in reality. 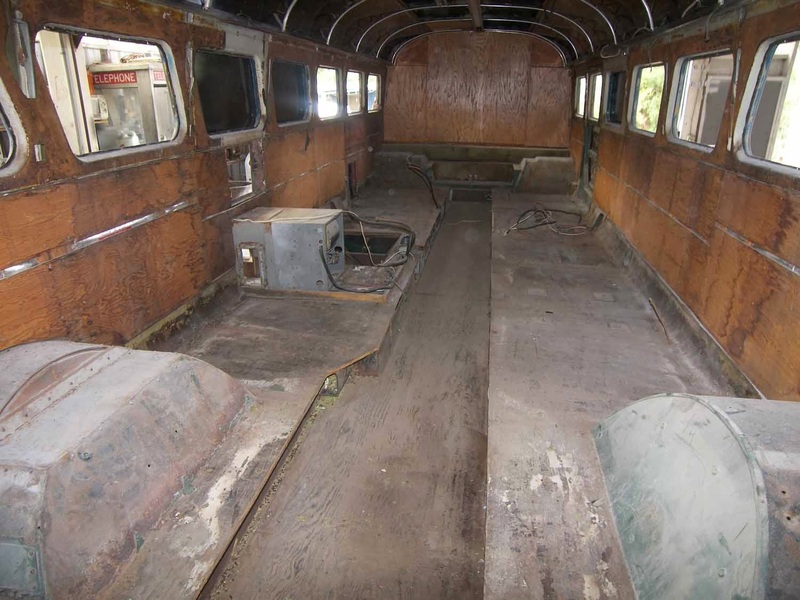 Restoring an old bus is a very complex job. Most buyers of “fixer uppers’ kid themselves into thinking they’ve found a cheap vehicle that can be easily refurbished. If possible, start by finding out the history of the bus. Chances are good that it’s been towed from the home of one discouraged restorer to the next, and you are simply the next in a line of broken hearts that were unable to make their unrealistic dream come true. If you are still convinced that you’re the one who will succeed where all others have failed, be warned that it won’t be cheap. Buff Up or Major Conversion? Any Flxible Bus you buy today will be at the very least 60 years old. Chances are that the bus you are hoping to convert has been converted before. It will also be in some state of disrepair and need some work to restore to usable condition. Depending on whether it’s alive or dead, this may be a simple oil change…or a complete gutting. There will be some bodywork involoved, and of course a new coat of paint. It’s possible that the engine and transmission just need some TLC, but chances are better that you will need to buy or rebuild a new engine and transmission. Rebuilding is a possibility, but the parts may be very rare and expensive if found. A rebuilt 60 year old engine will not be able to live up to the same standards as a newer modern one. Components of old buses such as drive-line usually become unreliable. If you can’t drive your new “old bus” home, consider what’s involved in undertaking the job. What do you have to work with? What skills and resources do you have that will be necessary in the restoration you plan to undertake? Do you posses all these skills? No! Well do you have the financial resources to hire people who do? Still up to the task? Let’s see what a conversion would cost. 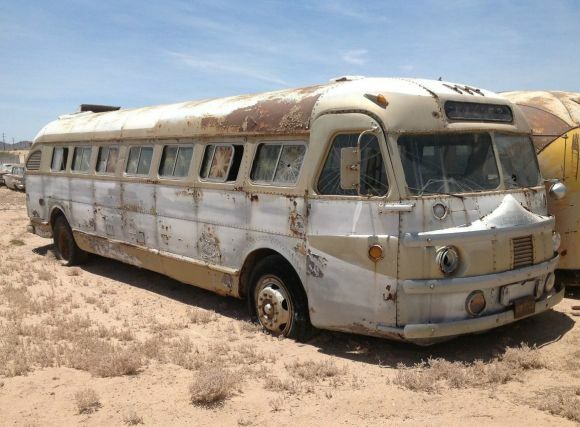 Even if all other aspects of the bus require replacement, the body and chassis of an Flxible Bus cost $1500 at a minimum. 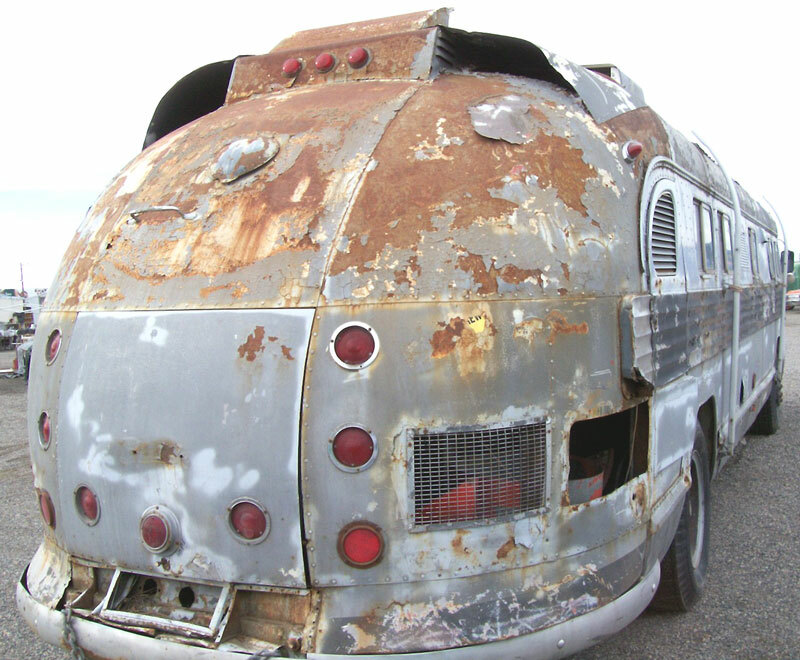 If the bus you are planning on restoring is made from stainless steel then you’re in luck, as it can be polished to remove rust. On the other hand, anodized aluminum will need to be replaced. Which means completely stripping the interior to get to the exterior skin. Rust never sleeps, and is usually much worse than the initial evaluation. The Flxible Bus does not sit on a frame. The body is the frame. If the body is rusted…walk away. Extensive restoration will have to be undertaken if the bus body is rusted. Check for rust on the suspension mounting, or your wheels may soon be scraping the wheel well. Skin replacement involves drilling out rivets and securing a piece of metal gauge then riveting it back. This is the easiest and cheapest of repair choices. 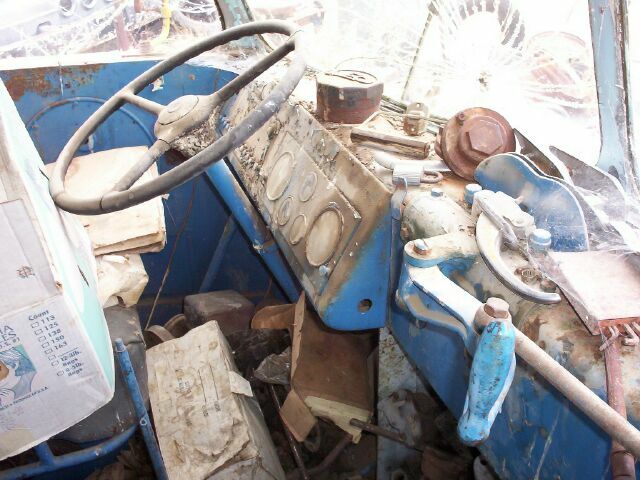 If the frame of your bus is severely corroded, you will need to fabricate new frames. Rust repair that involves the chassis is more expensive. Spring mounting points in these buses are most likely rusted. Using a small hammer, hit the metal, if you hear a hard clunk, the rust isn’t too bad, if sounds like a wimpy “doof” extensive repair work will have to be undertaken. If in doubt, try to punch through the metal with a center punch. If it goes through, an expert body man will be necessary as you will have to be cut out metal. You will need a drive train if you intend to drive your new dream home. If the bus is running, and you are fine with the power it has, you should set aside at least $3,000 to get it into reasonable condition. A modern matching diesel automatic transmission costs as much as $20,000. Chances are that your bus was converted at some point in its life. Ask yourself if the bus in a usable condition that you can live with? Great! Check if appliances work. The interior can cost anywhere from a few hundred dollars to several thousand to get into usable condition. A good windshield will cost an average of $1500, plus shipping. If the bus has split rims, you will need to replace them as they are difficult to service, and dangerous compared to a new tubeless radials. Budget $2,000 for new tires or $4,000 if you want fancy wheels. This job is best left to the pros. It may cost up to $2,500 to get the brakes on your bus working as they should. Go to your local paint shop and ask how much it costs to paint a Honda, now multiply that by a bus! If your bus has no exterior paint, you will spend a minimum of $5000. If you simply need the exterior sanded and repainted, a thousand or two should suffice. If it needs to be completely stripped and repainted you could be looking at spending ten grand. If you lucked out and found a bus that works and can be driven home, there are still a few more considerations. You may think all you need is a little tune up and a new battery, but chances are you will need a bit more. Your bus was most likely abandoned because it wasn’t running reliably any more. It probably took ages to start, and overheated so often that it couldn’t climb a hill of any size. So the former owner parked it. Hoping to repair it, or sell it to the next would-be owner. If you were lucky, one of the former owners, planning to undertake the same project you are contemplating, realized this and re-powered the bus before giving up and selling it. If this wasn’t the case, and you need to re-power the Flxible Bus, a big block gas engine will cost a few thousand dollars if you do all the work yourself. If you buy a better engine, you should be working with a minimum budget of 10 thousand dollars. I wish I could say that the tune-up and battery would be all that’s necessary, but you will have engine problems if you don’t replace it. Add to that neglect, and the fact that it would be at least 5 decades old, and you will be doing some major work to get the bus in decent shape. Even before starting the conversion. Don’t forget to check under the chassis for rust, you will most probably have to replace the panels to get rid of the rust. 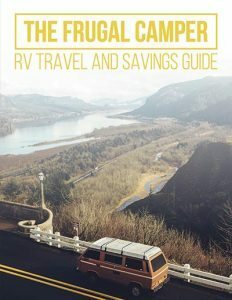 If you’ve been reading thus far, you will notice there is no mention of the house part of the bus you hope to convert. If the bus had been converted already, expect the appliances, water tanks, air conditioner and fridge, if present, to be in a “throw me away” state. You may find one or two reusable items but this is unlikely. If the appliances have some value, check what condition they are in. Attach a propane tank to the bus to see if they work. 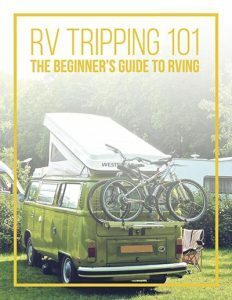 RV refrigerators especially, do not have a long shelf life, and can cost upwards of $3,000. If it can’t freeze a tray of water now, it never will, and you can’t fix it (some people say you can bring a fridge back to life by setting it upside down for several days, but this will not be the case with the one in your intended bus). If the cabinetry is “home built” you will most likely have to tear it out and redo it. Only after calculating all the costs involved in your conversion should you begin to figure out how fair the quoted price of the bus is. Say you have determined to do a Flxible Bus conversion. After a careful inspection, you have determined that you need $25,000 for the restoration with $10,000 in parts and labor. If you are starting out with a hulk that needs to be towed, the cost will be at least twice, or even three times, as much as you estimated. Ask yourself? Is the shell you are buying really worth it? The life of that old Flxible Clipper Bus has probably played out this same way for the past few decades. The previous owner couldn’t keep up with the expenses so he decided to abandon it, or sell it to the next dreamer. If you have the financial ability to undertake such a project, by all means go ahead and get another classic back on the road. If however, you have limited funds and a dream, the folks at Flxible recommend that you find another dream. Do you know anyone who has tried to convert a Flxible Bus? Would you like to?